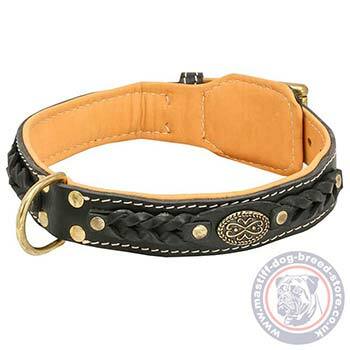 Choose this braided dog collar with nappa lining and medals for mastiff style and comfort. Sizes: 18-36 in (45-90 cm). Colors: black, brown, tan. Handmade leather dog collars UK bestsellers are made for royal style of your canine! These royal dog collars are produced of top quality genuine leather. The surface leather is well done and thick to keep its perfect look for a long time even if used regularly. 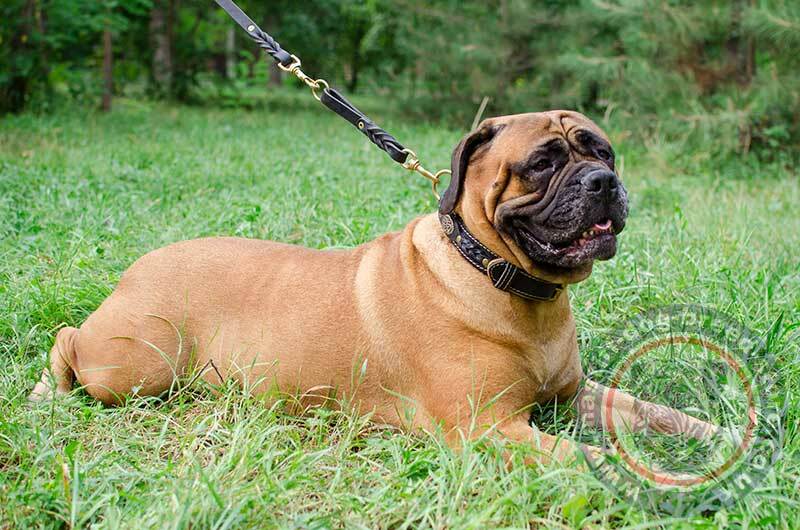 Bullmastiff collars made of genuine leather are also padded with soft inner nappa lining. It is reliably stitched with waxed elegant white stitch. The special royal look is accomplished with plated leather braids and vintage brass medals. 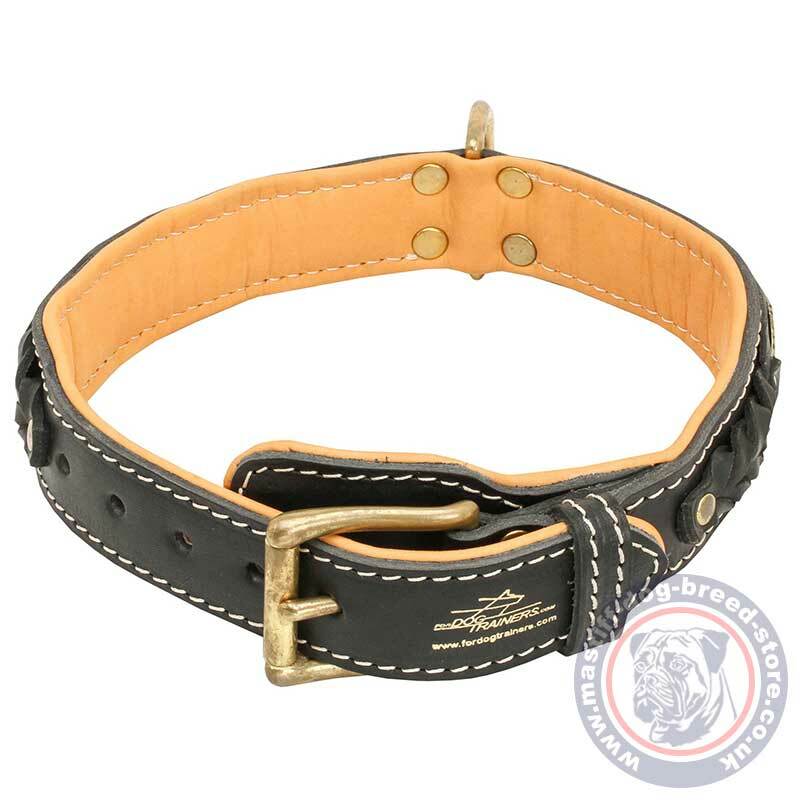 In spite of its royal fine look, it is a classic leather dog collar with buckle. 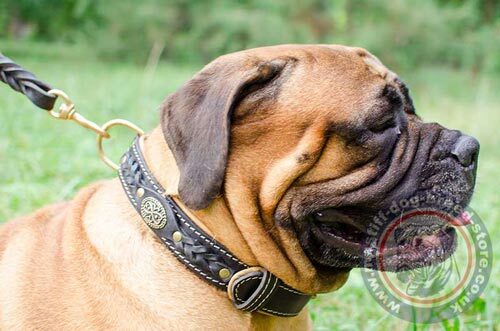 This leather dog collar design is very practical, reliable and strong for big mastiff dogs like Bullmastiff. Turn your attention to reliable rivets, strong brass buckle and solid D ring for a dog lead and tug adjusting.